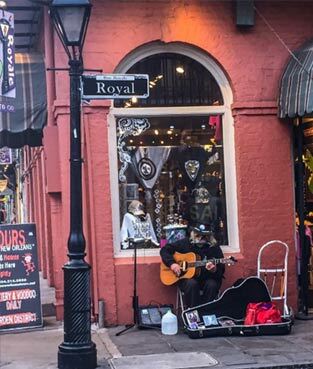 Crescent City Classic | Experience New Orleans! Every year, once we get past St. Patrick’s Day, we start looking toward the next big thing: the Crescent City Classic, a 10K run/race normally held the Saturday before Easter. Produced by the Crescent City Fitness Foundation, the event holds the distinction of being one of the longest-running 10K races in the United States. It’s open to everyone – walkers and runners, alike – and the main goal is to get out in the fresh air, get some exercise and have fun. Worried that you’re not in good enough shape to run for 10 kilometers (6.2 miles)? 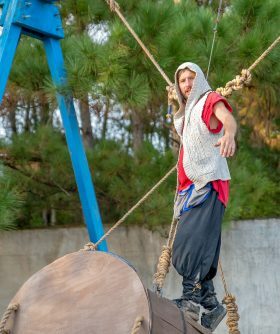 Participants every year include people of all fitness levels, many of whom just walk the course. Don’t think you can walk for 6 miles? Then walk a mile. Or a half mile. The only requirement is that you have a good time. The Classic kicked off in 1979. More than 900 individuals showed up to take part. The race that year was won on the men’s side by Frank Shorter, a marathoner and native of Germany who won a gold and silver medal in two Olympics, and on the women’s side by Alicia Reese, an American runner. Well-promoted and managed, the Classic over the years has attracted top athletes from around the world. Countries represented have included Kenya, Ethiopia, the Republic of South Africa, England, Zimbabwe, Ireland, Mexico, Australia and many others. In more recent times, it’s not uncommon for 20,000 participants to line up and break away at the sound of the starter’s pistol. Okay, “break away” might not be the best description of what all the participants do. Every year you’ll find some weekend warriors along with once-a-year “athletes” who prefer to walk the entire course carrying a yummy drink or decked out in a bunny costume. 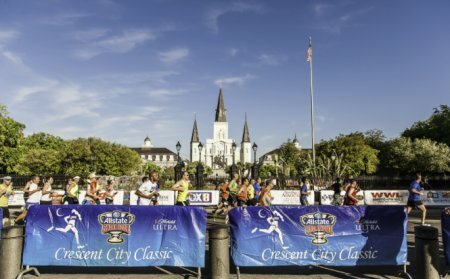 New Orleans is a great city for camaraderie, cooperation and fun, and the Crescent City Classic is the perfect example. You can race against the best, go slow and take it easy, and you can run for a charity. Any way you want it, that’s the way you get it! The course is certified 10,000 meters and is sanctioned by USA Track & Field. Beginning on Poydras at Loyola Ave. proximal to the Mercedes-Benz Superdome, the course leads you through the financial district, Jackson Square and Esplanade Ave. and culminates at City Park. You can register here, or contact the Crescent City Fitness Foundation at (504) 861-8686 for more information. Click here for parking/shuttle information.